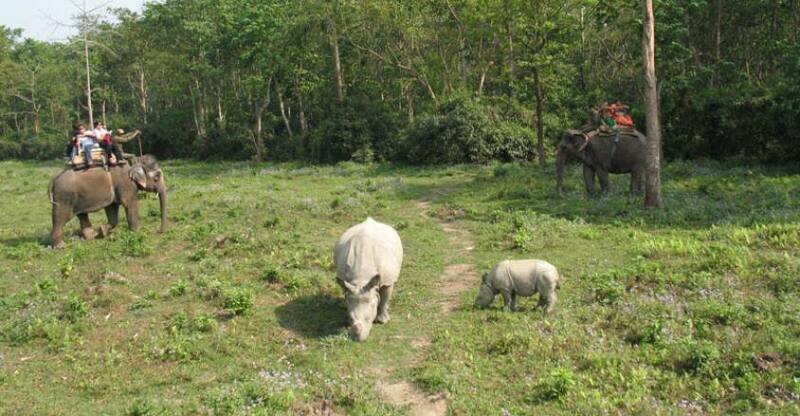 Kathmandu, Chitwan Jungle Safari, and Pokhara tour are one of the most popular tourist destinations in Nepal. 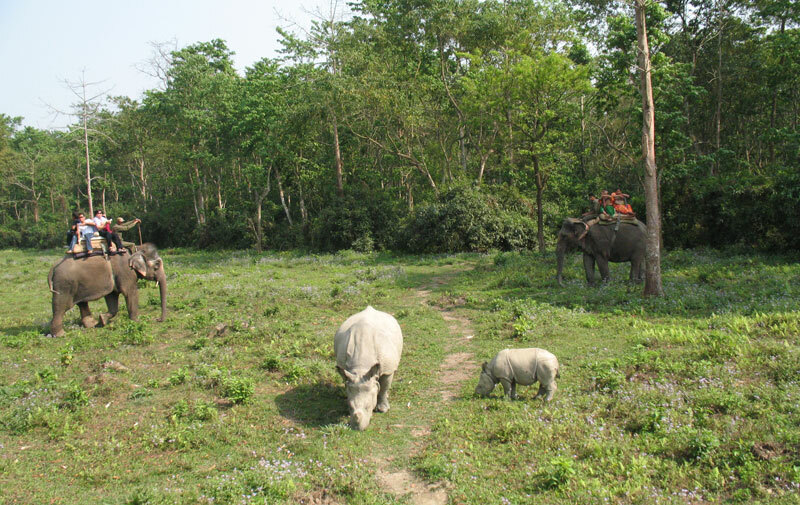 Kathmandu Chitwan Pokhara tour takes you for wildlife jungle safari tour in Chitwan National park and beautiful Pokhara valley. Chitwan Pokhara package tour offer historical monuments sightseeing tour in Kathmandu valley such as Pashupatinath, Bouddhanath, Swyambhunath / monkey temple, Kathmandu Durbar square. 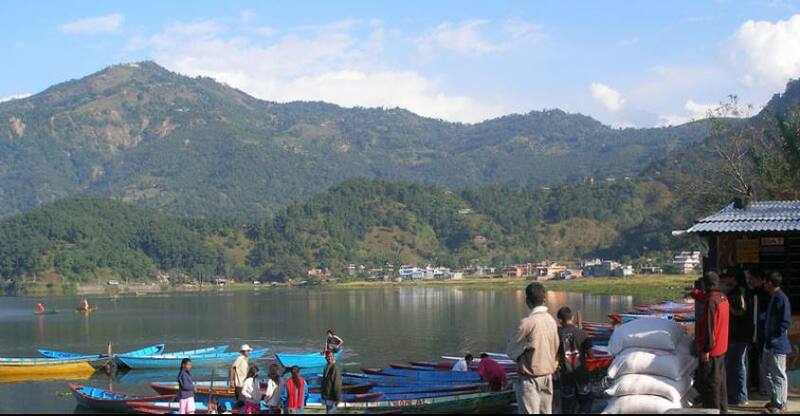 Chitwan Pokhara package tour begins from Kathmandu. The halesi Treks tour guide takes to you historical monuments sightseeing tour in Kathmandu valley then drive to Chitwan for Jungle safari tour. 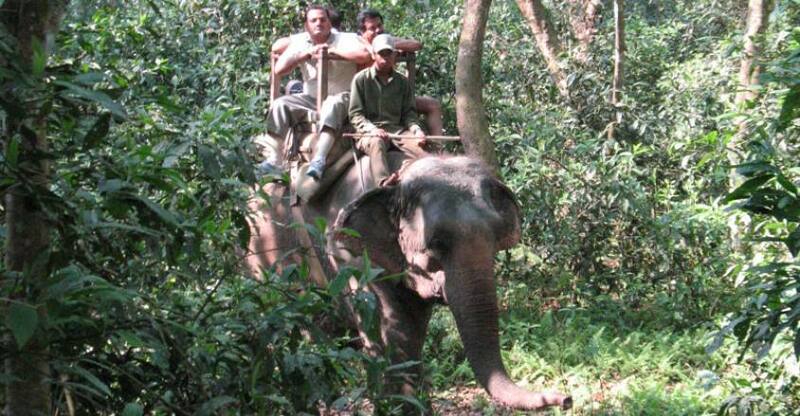 You will enjoy in Chitwan with wildlife adventure trip such as elephant safari tour, canopying trip, Jungle walk, bird watching trip, Tharu village tour and drive to Pokhara for stunning Annapurna Himalayan views, Pokhara valley sightseeing and Phewa lake boating. After two nights spent in Pokhara by the flight back to Kathmandu. Halesi Treks arrange personalized tour service in Nepal with amazing lifetime experience! Day 02: Sight-seeing tour around Kathmandu. Day 03: Drive from Kathmandu to Chitwan 4 / 5 hours. Day 04: Full Day Jungle safari Tour. Day 05: Drive from Chitwan to Pokhara 4/5 hours. 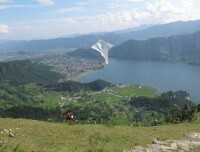 Day 06: Pokhara City Tour. Day 07: Fly back to Kathmandu 25 minutes. Day 08: Departure from Kathmandu. Government license holder City Tour Guide. 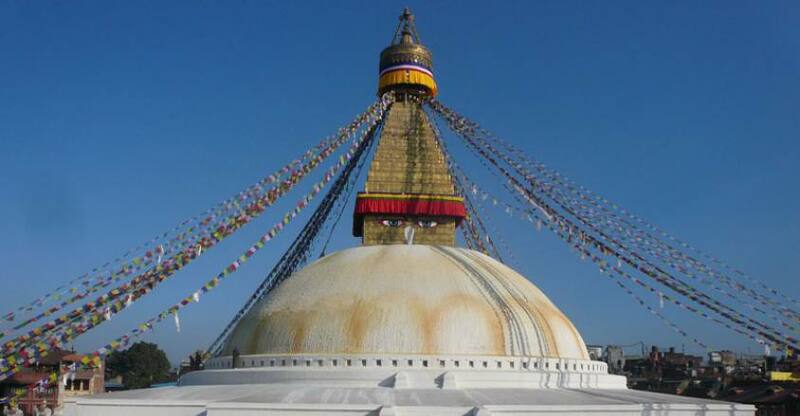 Arriving in Kathmandu receive at an international airport in Halesi Treks representative at the airport who will assist and help you transfer to the hotel. Overnight at the hotel. 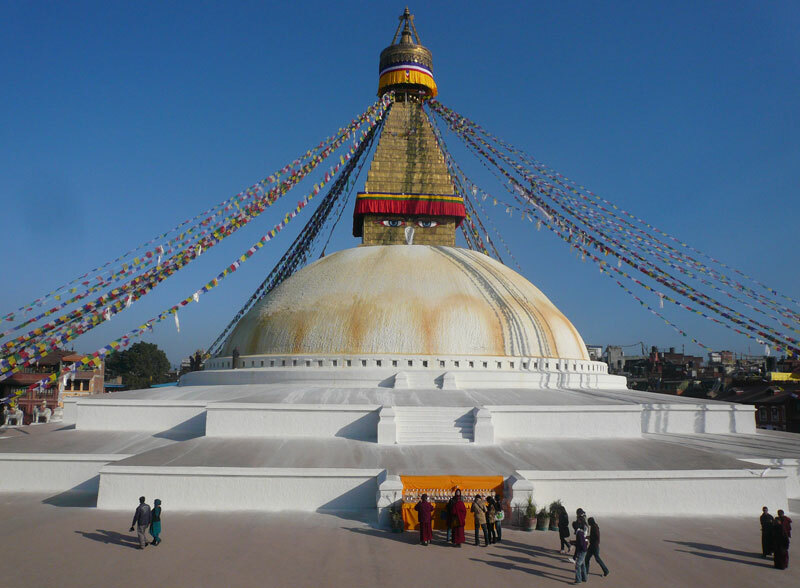 After breakfast, we will have a full day guided sightseeing tour around Kathmandu where you can feast your eyes on the rich and colorful history of the country. 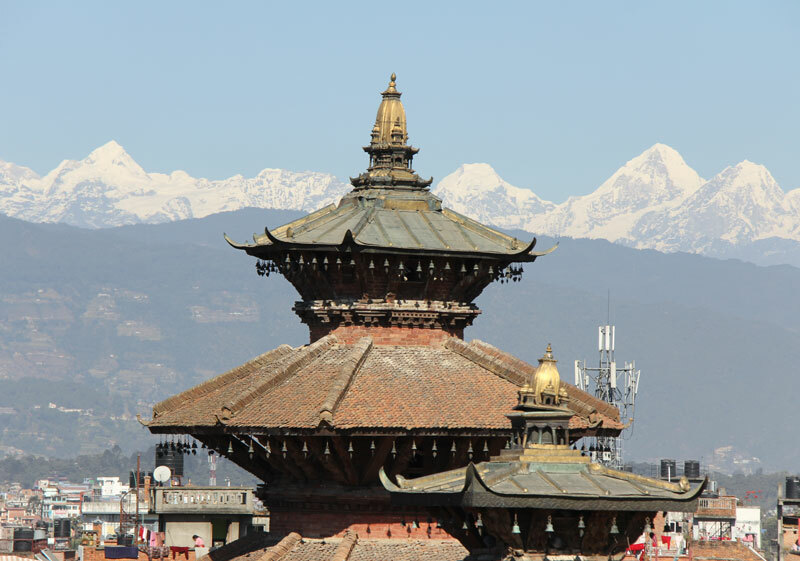 The tour includes Kathmandu Durbar Square- houses the old royal palace of the Kathmandu Kingdom, Monkey Temple- swarming with monkeys, Pashupatinath- one of the most significant Hindu temple of Lord Shiva in the world, Boudha Stupa- one of the holiest Buddhist sites in Kathmandu. One will be able to appreciate how the country is as it is. From the top of the Monkey Temple to the fluttering of the colorful prayer flags at Boudha Stupa, you will be able to feel the way of life of the people in the Kathmandu Valley. Overnight at hotel. Pick up from the Bus stop to Hotel and Lunch, Sightseeing tour (visit Tharu village, Elephant stable, Visitor Center and Sunset viewpoint) Dinner and Culture program (Tharu stick dance 1hrs.) overnight at hotel. Chitwan national park we suggest following activates as 1 full day trip to Chitwan national park. 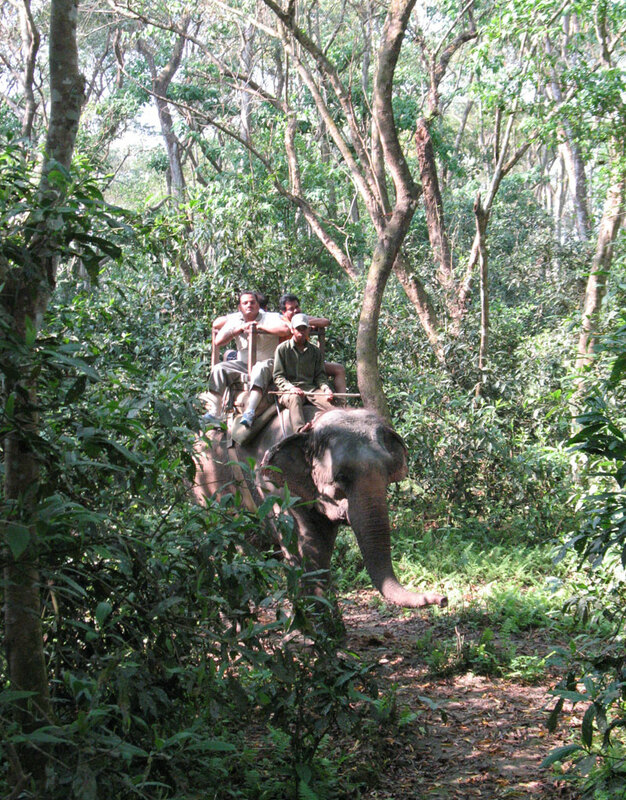 Elephant Back Safari wildlife activities in the deep jungle while sitting on a well-trained elephant. 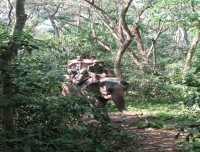 The duration of the elephant back safari is about one and a half hours. Our trained naturalist will accompany you and can explain about the animals, flora, and fauna of the Park. Dugout Canoe Ride During the canoe trip on the Rapti River, you will be able to view an array of nature’s beautiful riverside scenery including different types of birds, two types of crocodile – Gharial, and Mugger basking on the river bank, and other aquatic creatures. Overnight at hotel. Wake up call, Elephant Safari, Breakfast- Departure from Hotel, and Bus to Pokhara. One can enjoy the views of green hills, beautiful valleys and some mountain views along the way. 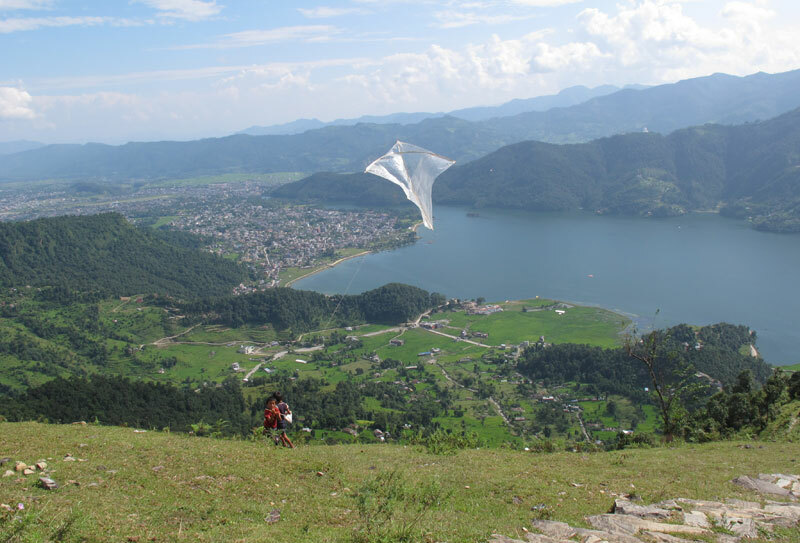 Pokhara is regarded as tourists’ paradise with full of natural as well as cultural heritage sites such as lakes, caves, temples, etc. One can have the pleasure to observe views of Phewa Taal (lake), Annapurna and Dhaulagiri ranges. Overnight at hotel. We will start off with an early drive to Sarangkot to capture the tranquil magical view of the city before sunrise and also to view the first rays of sunlight hitting the mountains on the backdrop. Sarangkot offers panoramic views of the Annapurna, Fishtail, Dhaulagiri and other mountains. After an exhilarating start, we will drive back to Pokhara, where two whole day of sightseeing awaits us; Mahendra Cave, Bat cave, Dave’s falls, rowing in the lake….etc. You can also explore around the lakeside. Overnight at the hotel. You will take a flight back to Kathmandu. 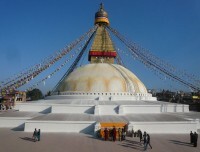 Upon reaching Kathmandu, you will have the whole day to yourself. You can indulge yourself in your personal activities / Shopping. Overnight at the hotel.